Immediate and continuing pain relief. Because MediBead wraps are ready for use in just a minute and are applied directly to the site of pain, relief begins immediately. 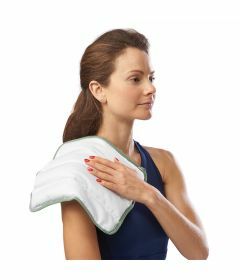 The wraps continue to deliver therapeutic moist heat for up to thirty minutes. This is the recommended treatment time for heat therapy within a three to four hour period. MediBeads recharge quickly and can be used again as necessary.